Contractual disputes, often involving large sums of money, occur with increasing frequency in the construction industry. This book presents - in non-legal language - sound professional advice from a recognized expert in the field on the practical aspects of claims. 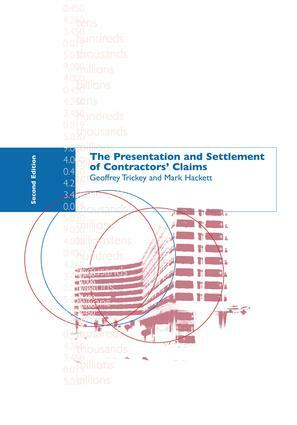 This edition has been brought right up to date by taking into account legal decisions promulgated over the last 17 years, as well as reflecting the effect of current inflation on claims. The new edition is based on the 1998 JCT contract. *Fully updated second edition of this practical guide. *Worked examples to back up the advice offered and relate it to practitioners' experience.